These fig tree stumps in Queenscliff on the Northern Beaches of Sydney had been planted years ago in a very unrealistic spot. 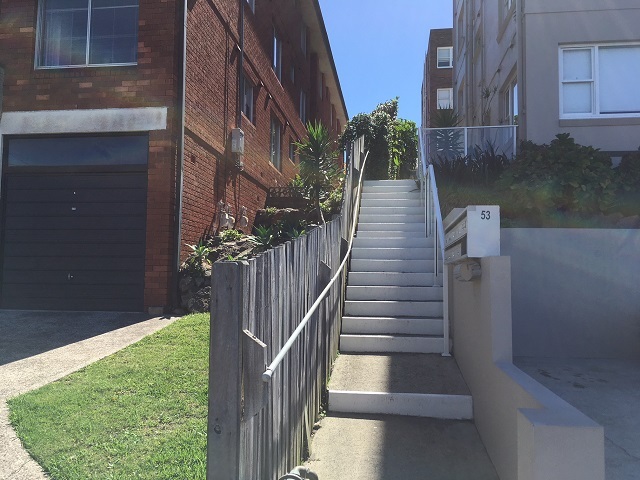 Access to the property was up a number of steps making it difficult to access with the standard stump grinders. Pullup Stumps has a range of stump grinders to suit each job. 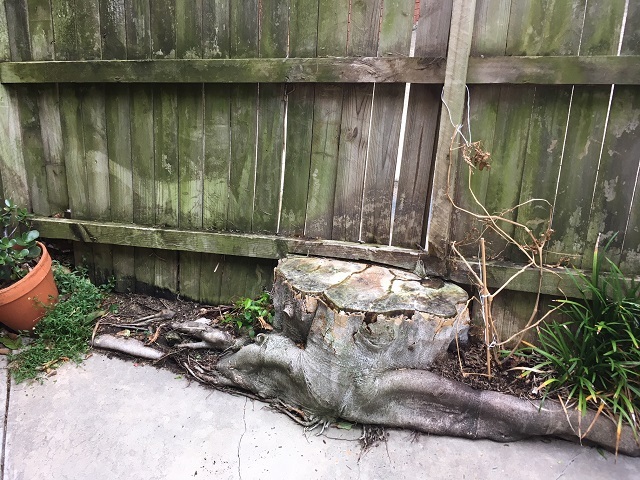 So for this job we used the portable hand held stump grinder as it’s easier to lift and manoeuvre, the stumps were planted in a very small gap between a concrete path and a wooden fence making removal of the fig tree stumps very difficult. Fig tree stump #1 along fence line. 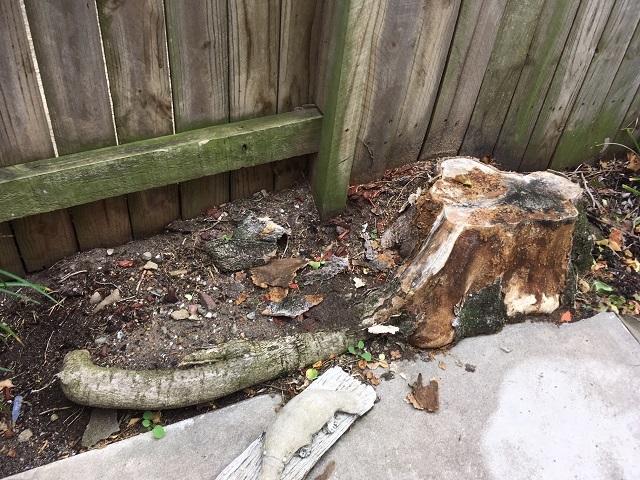 Fig tree stump #2 between fence line and concrete. 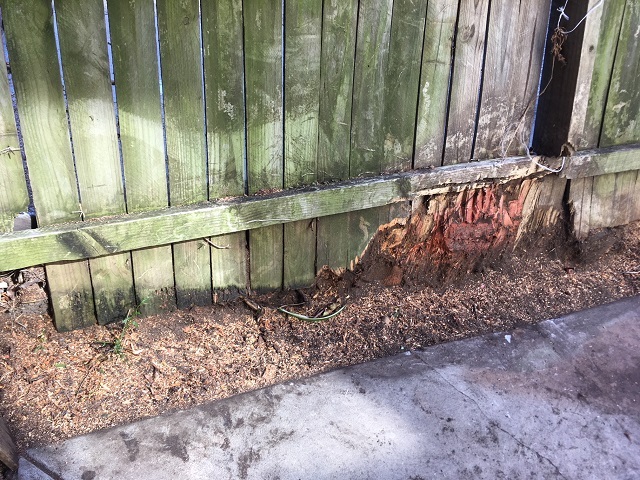 What’s more, behind the fence was a solid brick wall on the neighbour’s side which the stump had grown up to which added to the complexity to the project. The fence was going to be replaced so the damage made to it was one way of grinding more of the stump away. 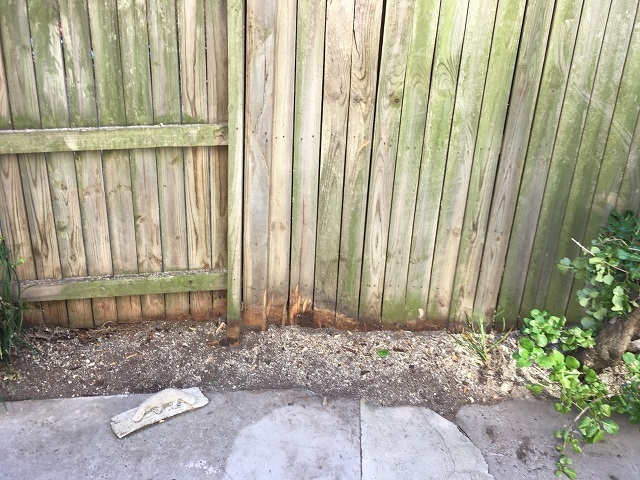 Eventually the stump was ground out to approximately 100mm below ground level to make way for a new fence and all debris was removed. And as always, we perform a thorough sweep and clean up, no matter how big or small the job.